We love hearing from our brides…and from our special occasion customers, too! 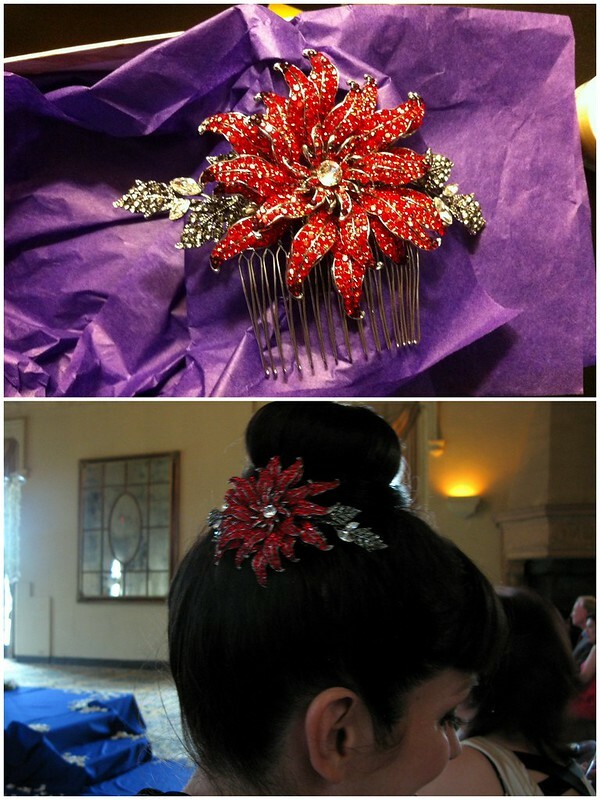 Jessica wore a custom red Swarovski crystal-encrusted flower hair comb to her sister’s wedding, and just sent us a note along with pictures. We’re so glad to hear you loved your hair comb. The sister of the bride should shine, too, and from the looks of it, you and Andrew had a marvelous night! 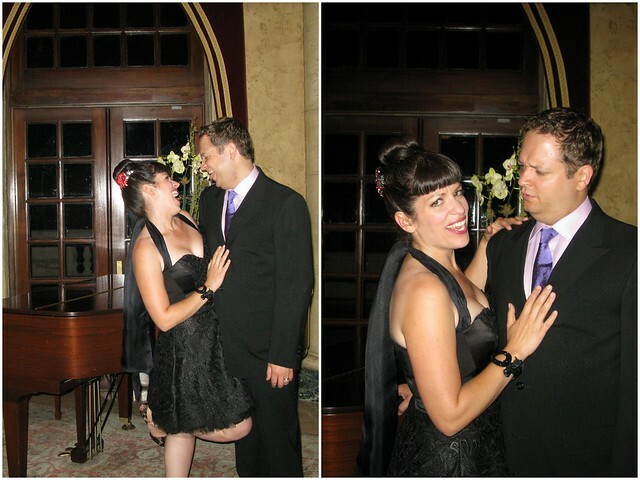 Jessica, who we know loves to laugh, also sent along these cute shots which we couldn’t resist sharing of she and Andrew making funny faces and hamming it up for the camera! 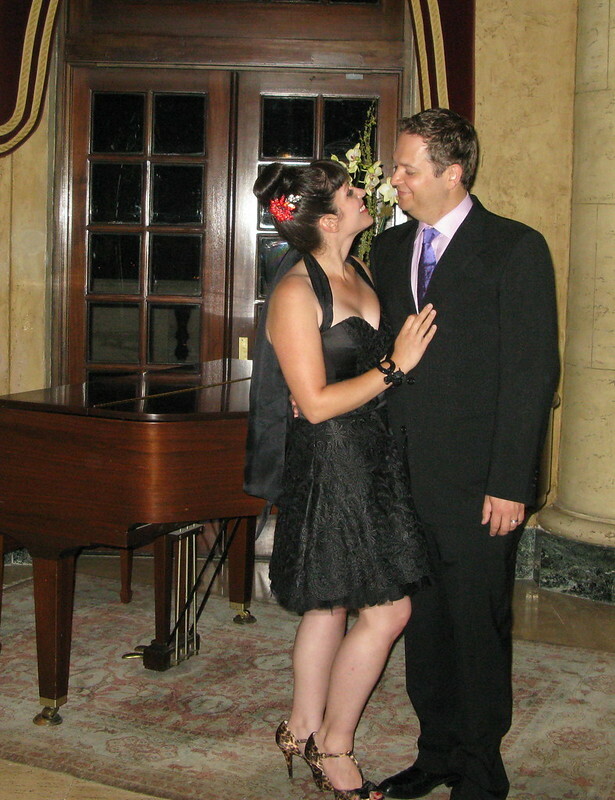 This entry was posted on Friday, June 29th, 2012 at 9:07 am	and is filed under Notes from Our Brides. You can follow any responses to this entry through the RSS 2.0 feed. You can skip to the end and leave a response. Pinging is currently not allowed.